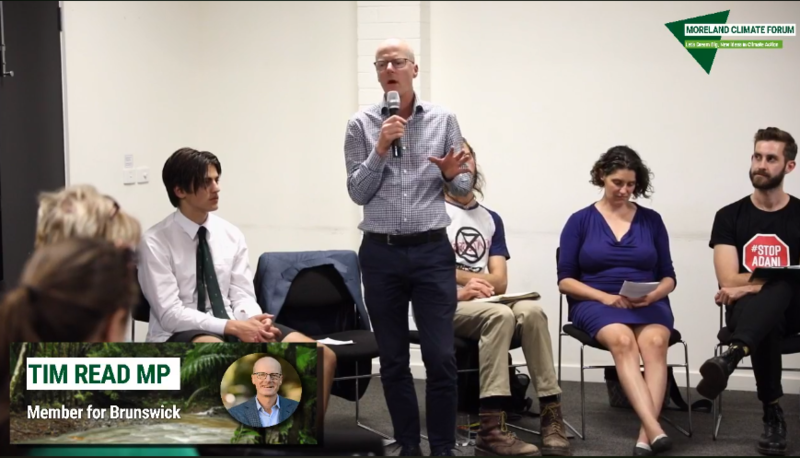 State MP for Brunswick Tim Read hosted a forum on Climate for Moreland on 28 March, 2019 with Greens politicians from the 3 levels of government, but also community representatives on the speakers panel. The forum was labelled: New Ideas in Climate Action – Let’s Dream big! It was similar in some ways to the recent forum by Federal MP Peter Khalil, but also different in being more inclusive in inviting members of the community on the speakers panel. Climate action was a top priority for the citizens that had come along, although the ALP’s refugee policy was also mentioned. 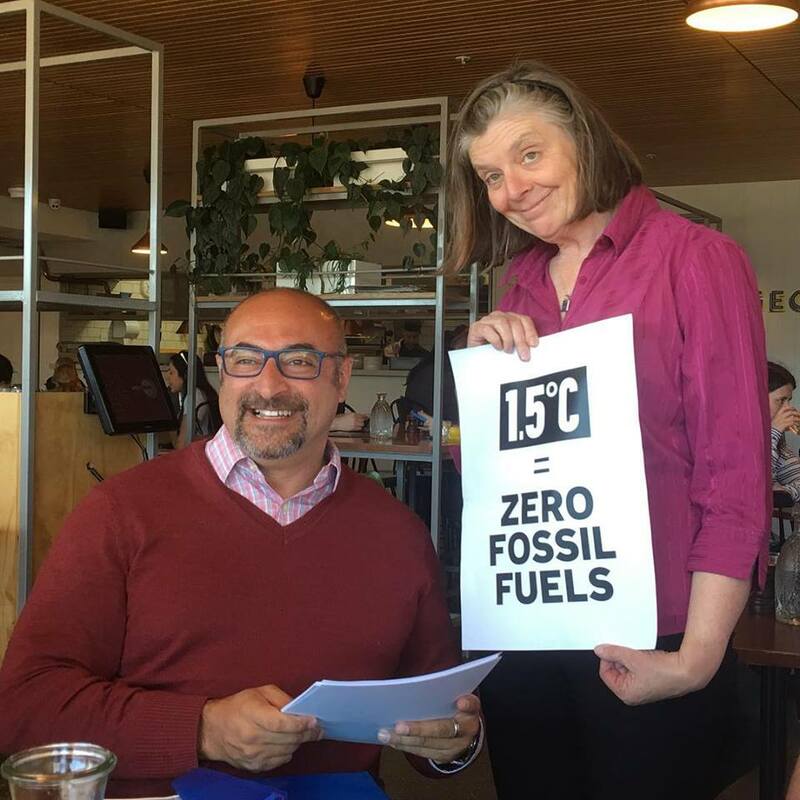 Jane presented a copy of the IPCC 1.5C report to Peter Khalil, and Climate Action Moreland Convebnor John Englart also presented a copy of The Elephant in the Sky report (PDF) to him on aviation emissions. 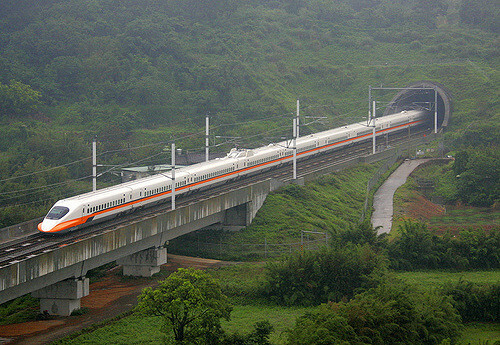 High speed rail is being placed back on the political agenda by Moreland Council arising from the problem of growth in aviation emissions as embedded within Melbourne Airport expansion plans, and the necessity to find alternatives to aviation emissions. The Melbourne-Sydney flight route is the second busiest domestic flight route globally. (Note 1) A high speed train service could provide a 3 hour Melbourne CBD to Sydney CBD service as a cost effective and low emissions alternative to flying. Melbourne Airport is planning massive expansion of infrastructure, including new terminals and new and upgraded runways, additional flightpaths, which will induce greater travel demand, increasing the number of flights, and a huge increase in the aviation emissions. 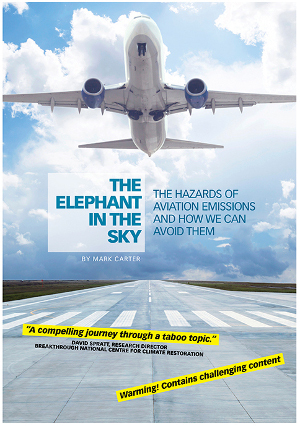 But the Masterplan fails to talk about the increase in aviation emissions that expansion will bring about. 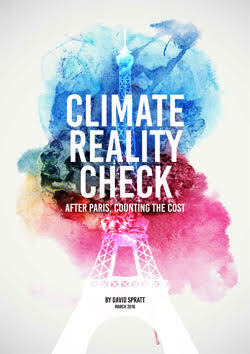 Climate Action Moreland has done a hasty, but fairly detailed commentary, on the Melbourne Airport Masterplan. 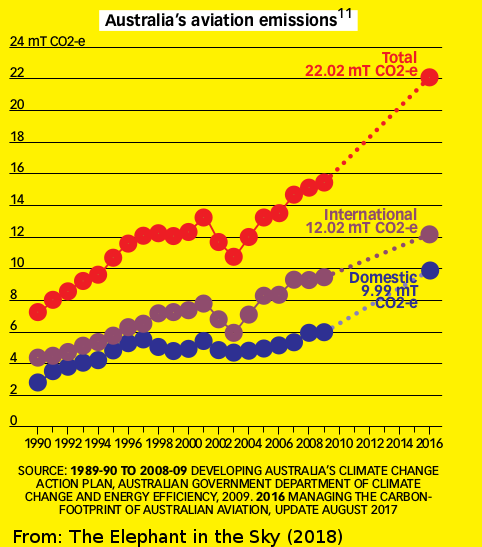 This also justifies our call for a moratorium on Melbourne airport expansion, and the growth mantra that is embedded in the Masterplan document that is at odds with climate science, and the Paris Agreement targets of needing to rapidly reduce emissions. In September 2018 Climate Action Moreland joined the global Stay Grounded Network in working to limit aviation emissions, as authorised by our monthly meeting. 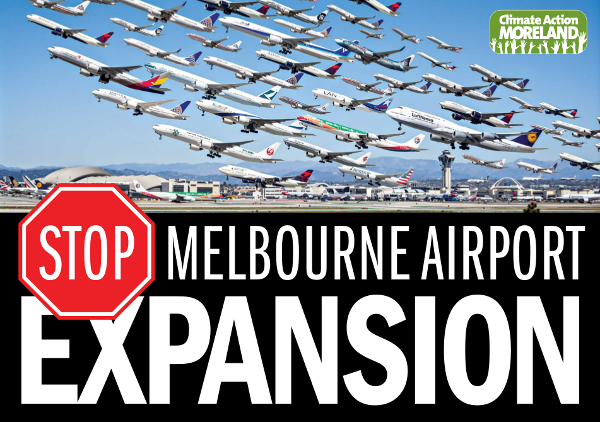 “We are strongly advocating for a moratorium on expansion of Melbourne airport infrastructure”, said John Englart, Convenor of local climate group Climate Action Moreland. Melbourne Airport is the main domestic and international airport for the city and is located just to the north of Moreland municipality. The northern suburbs of Moreland are likely to be directly affected by the flight path of a proposed third runway. “We are very concerned that the growth dynamic embedded within the airline industry and the private Melbourne Airport Corporation, supported by both the Victorian and Federal Governments, will lead directly to a massive increase in flights and an increase in aviation carbon emissions and climate impact.” said John Englart.